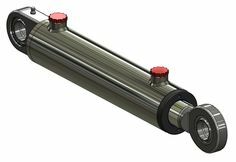 Hydraulic cylinders are undoubtedly one of the most integral parts of your hydraulic machinery. If you have an abundance of hydraulic machinery in your facility, over time, you will be required to pay a hefty amount for hydraulic cylinder repairs. Let us have a look at four ways in which you can reduce failure of the hydraulic cylinder and save the repair costs. Hydraulic machinery and equipment are now very commonly used in industries due to the number of advantages that they offer over their traditional counterparts. Hydraulic cylinders are an important part of hydraulic systems and require maintenance and repairs on a regular basis. As per some studies, about 25% of the failures of mechanical equipment are due to poor designing of the equipment. If this conclusion is applied to hydraulic cylinders, it means that one in every four cylinders is not designed as per the application for which they are used. Right from improper installation of mechanical seals to bent rods, these cylinders suffer from some problems on a regular basis, requiring you to spend a substantial amount on their repairs over time. Let us have a look at four of the most common problems that arise in hydraulic cylinders and how you can reduce these problems to minimise the repair costs and improve their performance. It is the surface finish of the rod of the cylinder on which the life of rod seal depends upon. If the surface is very rough, it will lead to leakage, and if it is very smooth, it will not be able to provide the required lubrication. Make sure that you remember this while treating the surface of the rod to enhance the service life of hydraulic cylinders. If the materials that have been used for constructing cylinder rods are not as strong as the application requires or if the diameter of the rod is insufficient, they can bend. When a bend occurs, it will only worsen with the increase in the load pressure. Over time, the seal will fail and result in increased leakage. Euler formula can be used to calculate the load a rod can bear. When the bearing bands are not able to handle the side thrust, the seals can get deformed, and this can have a substantial effect on the lifespan of the seal and performance of the hydraulic cylinder. When the tube wall of the hydraulic cylinder is not made from a thick and strong material, the tube can balloon. When this occurs, fluids can quickly pass through the seal. Moreover, the intense heating over time will shorten the service life of piston seal. While you can handle most of these common issues with some small repairs, it is important to consider redesigning if the same problems occur on a regular basis. This will ensure that the machine provides the right output and works at an optimum level.